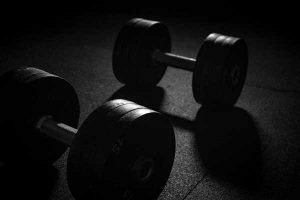 Is the Creatine Loading Phase Necessary? Home » Creatine » Is the Creatine Loading Phase Necessary? Hey everyone, Paul from Ultimate fat Burner.com here and in this video, I’m going to answer the question, is the creatine loading phase necessary? I’ll have the answer right after the break, stick around… don’t go anywhere. Hey, welcome back. Thanks so much for sticking around. So let’s get back to the question… is the creatine loading phase necessary? So why is creatine loading even a thing then? Well, that’s kind of a good question. The earliest studies validating creatine’s effects on sports performance were conducted with some sort of loading phase, so it made sense to recommend one. However since then, studies have confirmed that creatine works just fine without a loading phase, although it will take longer to reach peak muscle saturation, and as a result, maximum results. Second, since the goal of creatine supplementation is peak muscle saturation, in a short term clinical trial creatine loading makes a lot of sense. Because if you only have 4-6 weeks to conduct your study, it makes sense that you spend as much of that time as possible measuring the effects of the creatine on performance, and not waiting around for your participants to reach peak muscle saturation – which would obviously take much longer on a lower dose. What’s the Bottom Line on Creatine Loading? The creatine loading phase is not necessary. However, a loading phase will allow you to reach peak muscle saturation faster, which means you’ll obtain the full benefits of creatine faster. If this is important to you, than maybe a loading phase is something you want to consider. Otherwise, don’t worry about it. Alright guys there you have it, the “no bs” answer to is the creatine loading phase necessary? If you liked this video a thumbs up or a share would be awesome, and of course, if you have questions or comments or feedback, I’d love to hear from you! Don’t load it? What have you noticed? Let me know in the comments. And before you go, one last thing… if you’re not subscribed to this channel yet, now would be a great time to do so – just click here – especially if you like no BS supplement videos. You can also watch all of our creatine videos here! Thanks so much for watching, and hopefully… I’ll see you really soon.